This panel discussion, featuring experts from institutions across the world will focuses on the challenges faced by researchers in commercializing cell therapies. With increased availability of cell therapy on the horizon, and in some cases here, it is crucial that consideration is given to adequate management of manufacture to ensure treatment reimbursement is profitable for both patients and manufacturers. 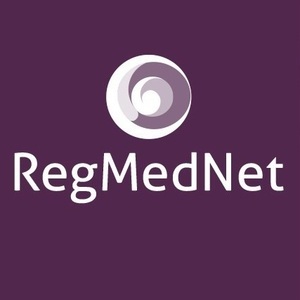 The RegMedNet spotlight will provide an insight into the challenges, trends, developments and debates surrounding the many factors that influence the commercial viability of a cell therapy. This panel discussion, featuring experts from institutions across the world will focus on the challenges faced by researchers in commercializing cell therapies. Topics discussed will include the importance and implementation of GMP and adequately scaling up a potential therapy, as well as covering our experts’ predictions for how this may change in the future. We hope this discussion is an insightful resource bringing together the latest knowledge and providing the current perspectives on cell therapy commercialization and translation, and stimulate discussion about future directions of this field. Over 25 years of experience in the Medical Device industry, servicing the Research, Pharmaceutical and Biopharmaceutical customers. At Irvine Scientific she is currently the Director of Quality Systems/Regulatory Affairs and the ISO Management Representative where she manages and performs review functions of the Regulatory Affairs, Quality Control, Quality Assurance, Compliance, Document Control and Safety departments. She holds a Bachelors of Science with a major in Business Administration and a minor in Personnel Management. Steven Keizer has been designing, building and operating quality systems to fit the pharma industry for the better part of a decade, spanning mostly larger commercial level applications, but is now more focused on the smaller, early phase applications. Steven holds an B.Sc Hons. in Analytical Chemistry from the University of Western Ontario and an MBA from the Sauder School of Business at the University of British Columbia, with focus on Strategy and OBHR. A Quality Manager (Microbiologist/Biochemist) with over 20 years’ Therapeutic Goods Administration (TGA) and National Association of Testing Authority (NATA) experience in microbiology, cGMP release testing and manufacturing within clinical trials, cellular therapies, pharmaceuticals, food and assisted reproductive technologies. Specific interest in validation design and developing a global Standard for cellular therapy compliance.